The Tiger is a very revered and beautiful animal, and are natural predators. They are very dangerous, and can be to both prey, predators, and people alike. Although they are very attuned to nature, and hunt some of the most vicious predators, they are endangered, and are in a rapid decline, due to poaching and habitat loss. According to many sources, the tiger population has dropped by 97%, from a whopping 100,000 tigers to some 3,500 to 1,500 tigers. 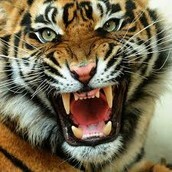 The tiger is undoubtedly, wherever it may reside, the alpha predator of that particular region. When their habitats are destroyed/are poached, it brings about a disruption of the entire food chain/food web, and quite possibly the region dwellers' way of life. Without tigers to regulate the herbivores that eat the plants, the herbivores would overpopulate, and then the plants would deteriorate in number, and so on and so forth. This is not recommended, as usually ecosystems may interconnect with other ecosystems, creating a food web. Without the top predator, the flow of energy would rupture, causing the whole network of ecosystems to fail. 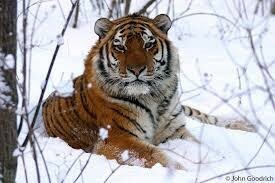 The tigers are hunted for their beautiful furs, and use for medicine in certain Chinese cultures. They are also indirectly hurt by our destruction of their habitats for our personal gain. This practice happened commonly in the past century, causing the plummet from 100,000 estimated tigers to a measly 3,500 to 1,500 tigers left on the face of the planet. While this is still pretty large, numerically speaking, half of all cubs do not survive, which is typically 2-3 cubs, out of which 1 or 2 will survive. These are not great odds, and this shows with the fact that the South China Tiger has been declared functionally extinct, having not being sighted within 25 years. If this poaching and habitat destruction continues, they will probably cease to exist within 5 or so years. What Can We Do, As A Population, to End This? 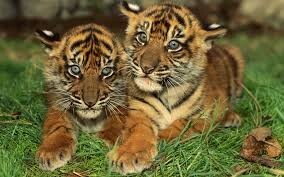 What Can We Possibly Do To Save The Tigers? 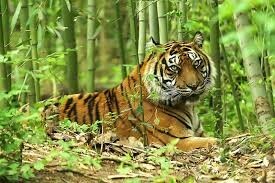 We can preserve what little natural habitats of tigers are left in the world, which are currently in shambles. The poaching has to be more closely monitored to be prevented in general, and this should be done now to prevent any further damage to the population of tigers worldwide. The key is to act fast, or all of the tigers will soon become one with the South China Tiger: functionally extinct in the wild, or, even worse, COMPLETELY EXTINCT. 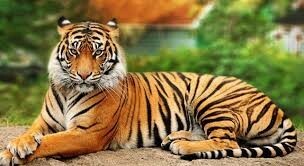 The heaviest and largest of the tiger subspecies, the Panthera tigris altaica is numbered at around 400 in total. The smallest and lightest of the tiger subspecies, the Panthera tigris sumatrae is numbered at less than 400, and is critically endangered as of now. The most numerous tiger subspecies as of now, the Panthera tigris tigris is not near as low as any of the other tiger species, but is still estimated to be as low as 2,500. 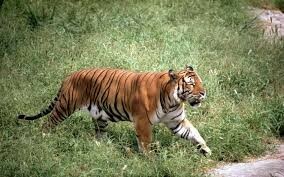 Pictured here is the Panthera tigris amoyensis, or South China Tiger, which is believed to be extinct in the wild, and has not been sighted for 25 years. You CAN Prevent This. Help Us Today! Help us save these majestic animals! Listed below are multiple ways to contact and support us (not real). This has been brought to you on behalf of my Wildlife, Fisheries and Ecosystem Management teacher, Mr. Scheu.